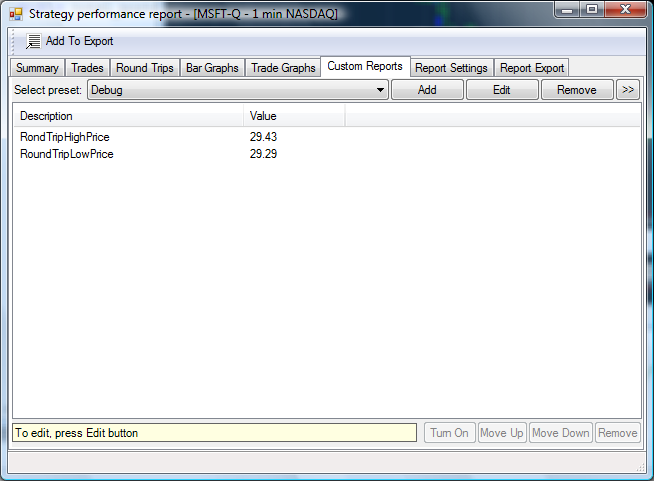 This is NeedForTradeStudio Full Features List. To see just Unique features list follow this link. 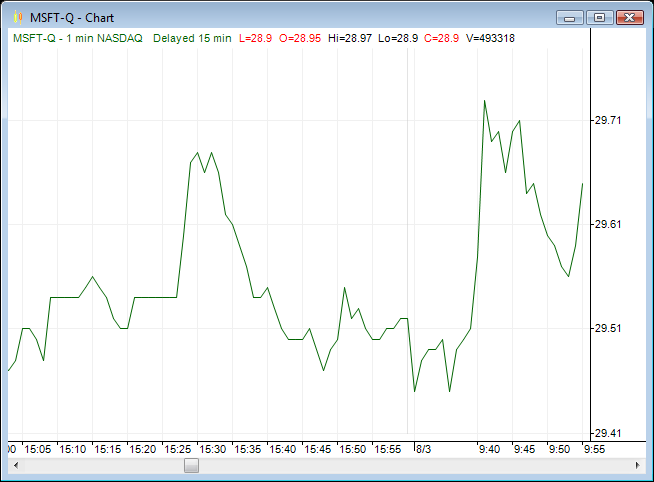 You can expect the highest degree of quality, performance and visual attractivity from NeedForTrade Studio charts. NeedForTrade Studio lets mix any number of symbols and time intervals for different time frames on a single chart. Data for symbols can be served from different data providers. 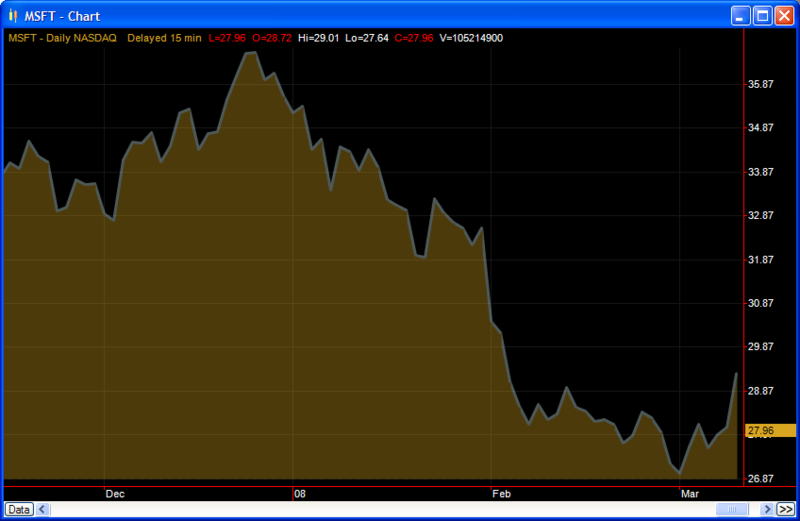 So you can build complex portfolios, analyze correlations and so on. 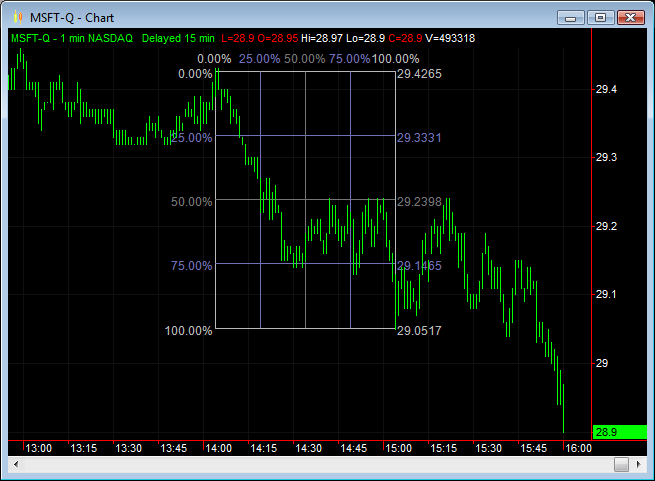 Overlay symbol charting is also supported. 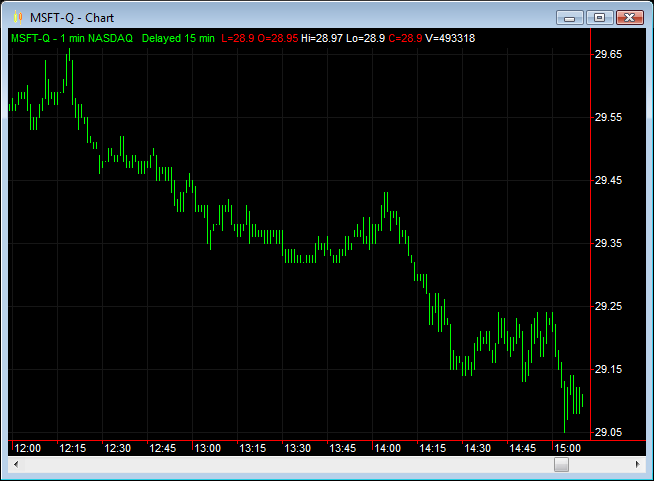 Application can display unlimited number of charts simultaneously. Each chart can contain any number of subcharts with single time axis. 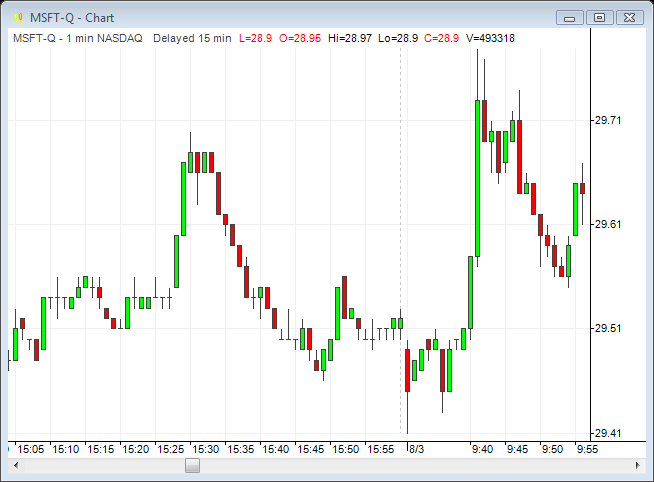 Platform supports multiple types of financial charts, such as bars (OHLC, HLC, color bars), japanese candles, dot, line, area, histograms and hidden charts. Drag-and-drop operation ensures highest possible ease of use. 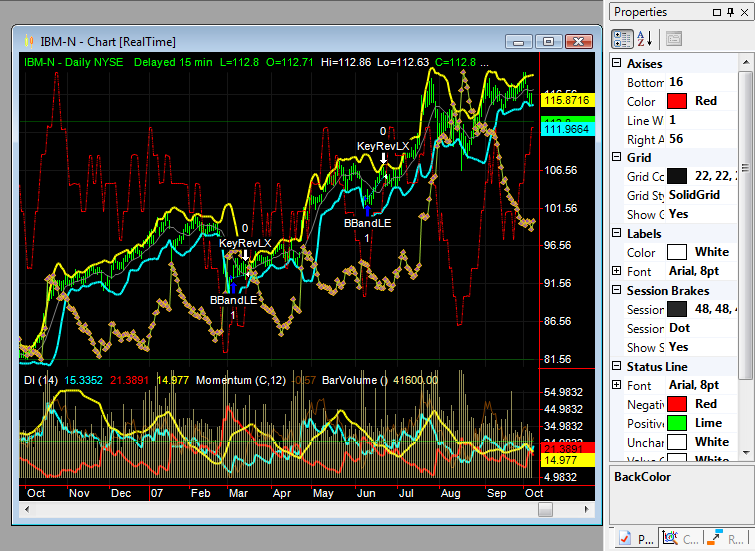 To adjust properties of any visual element or parameter of some indicator or strategy just click on it on the chart. 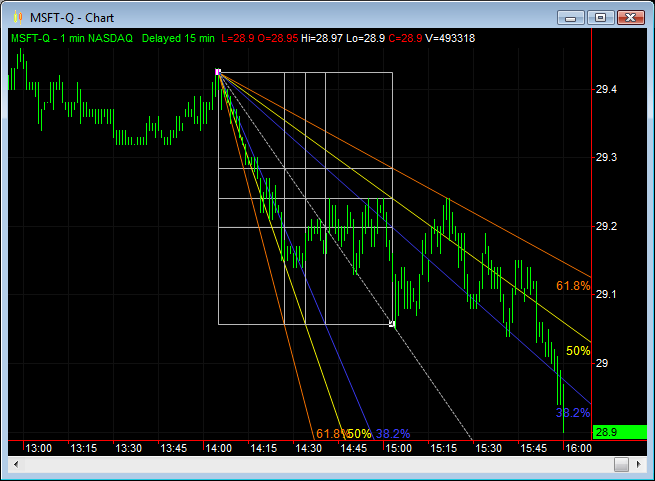 Charts have a vast of properties. 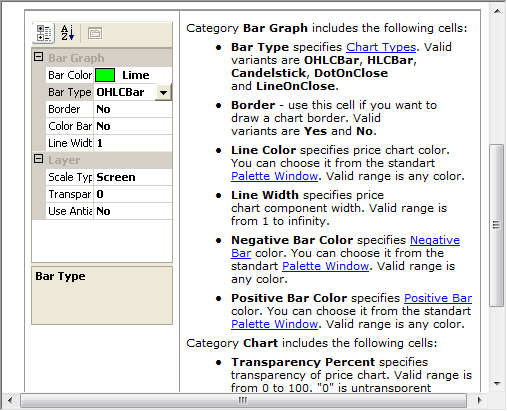 Every color, line width and style or text font can be customized according to user's preferences. 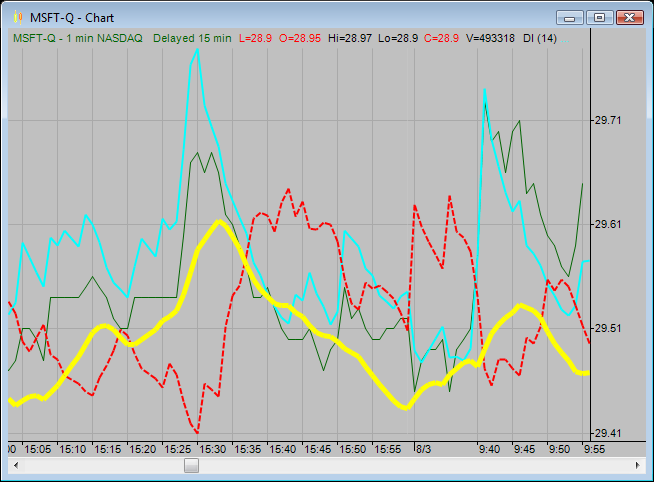 Each chart has two modes of operation: optimized for speed or for visual attractivity. 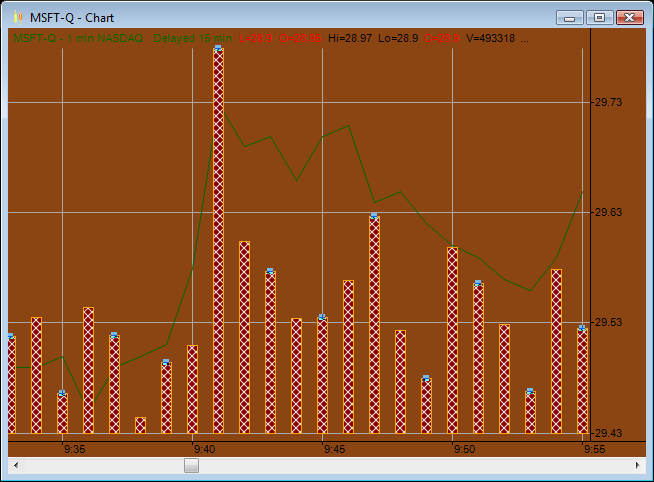 In the second mode charts can be drawn with antialiasing (smoothing of jagged lines) and transparency. 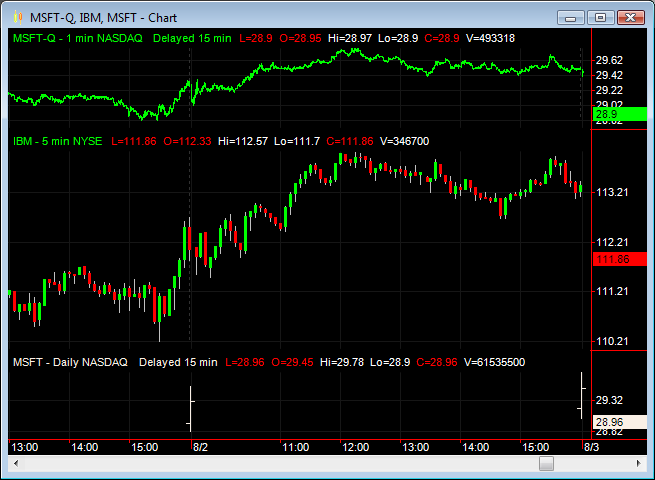 Charts are highly optimized and use hardware graphics acceleration wherever it's possible. Chart rendering engine has multithreaded architecture, so it utilizes multi-core processors, HyperThreading technology and multi-processor systems to draw more than one chart at the same time. Don’t spend a dollar on a bad idea. Test before trade. Develop and back-test strategies. Use historical data to test your strategy. 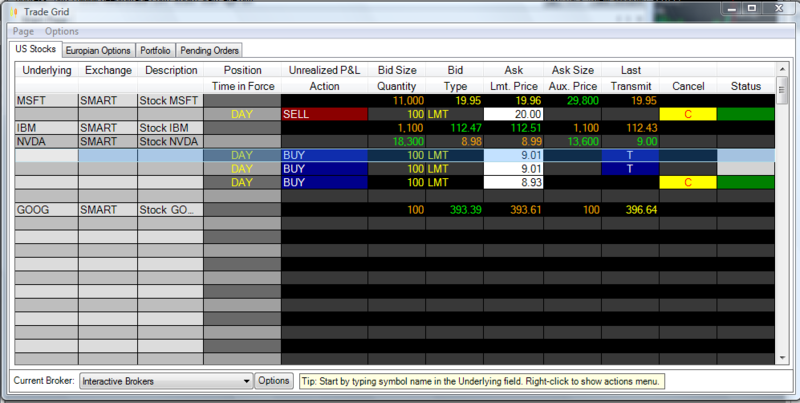 You can lose your money if you try to use new strategies right away with real money. 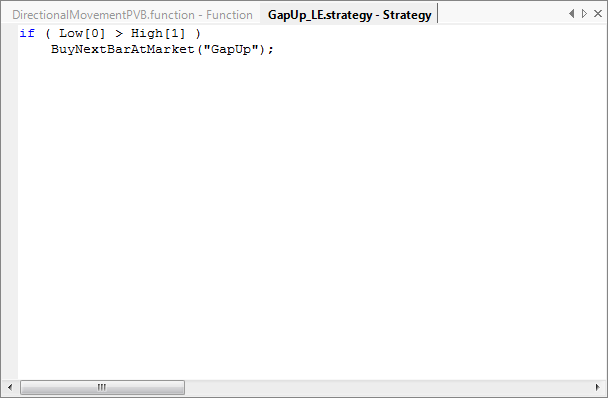 Strategies are created on C# or Visual Basic languages. Thanks to our unique automatic service code generator you don't have to know how to program on these languages. Only very easy language syntax contractions are required. Strategy creation just can't be easier. 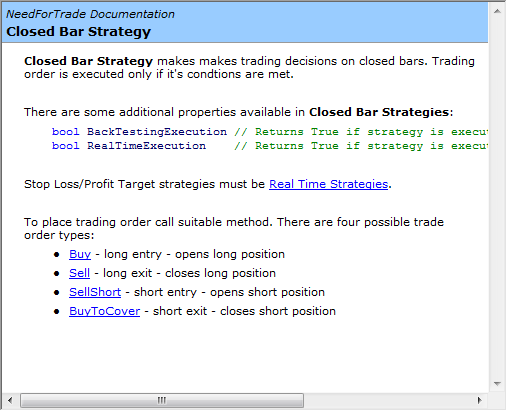 It's just as easy as in TradeStation EasyLanguage*. 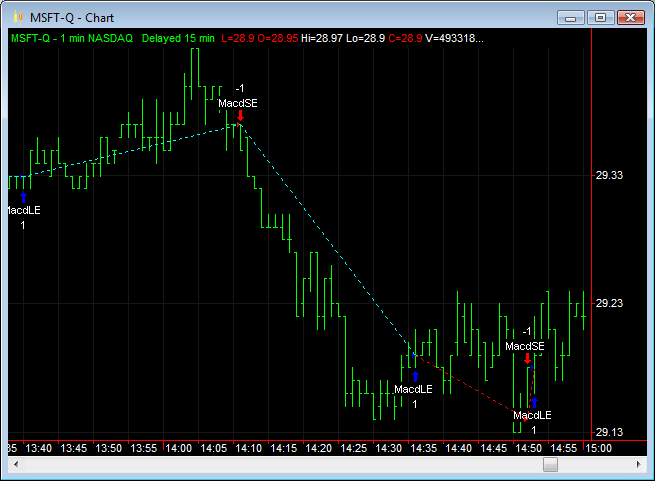 See "Strategies and Indicators Creation" tab for more information. 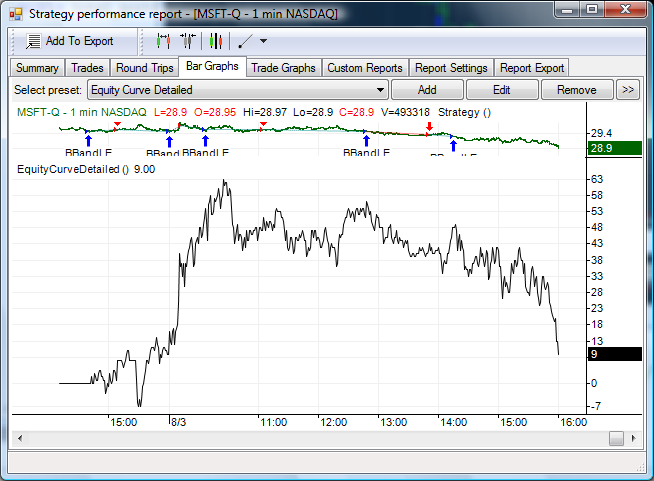 Strategies can be tested on historical data prior using them on the real market. This lets you test your ideas and minimize your risks. 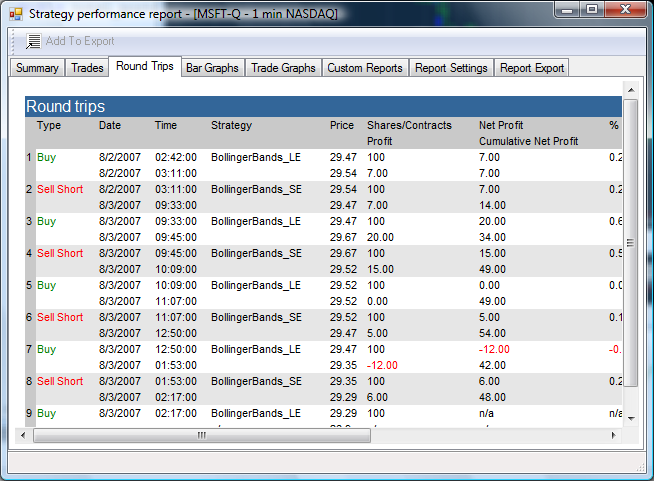 Strategy Performance Reports can be used to analyze trade orders produced by strategies during backtesting. 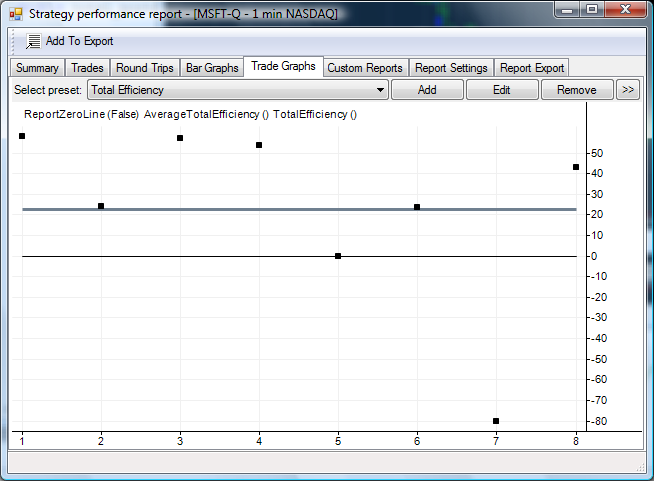 There is a multitude of built-in performance marks and graphs. 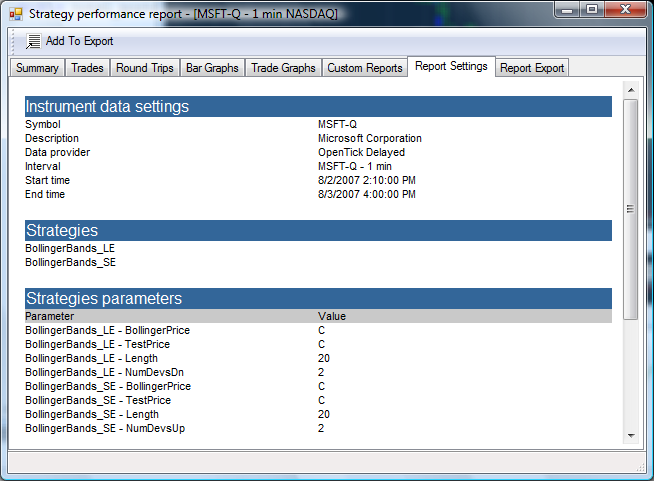 You can create your own performance marks (report indicators) and custom graphs as easy as simple indicators. Each strategy can have parameters that affect its execution. Proper optimization lets you find suitable parameter values, maximize strategy revenue, minimize drawdown and so on. 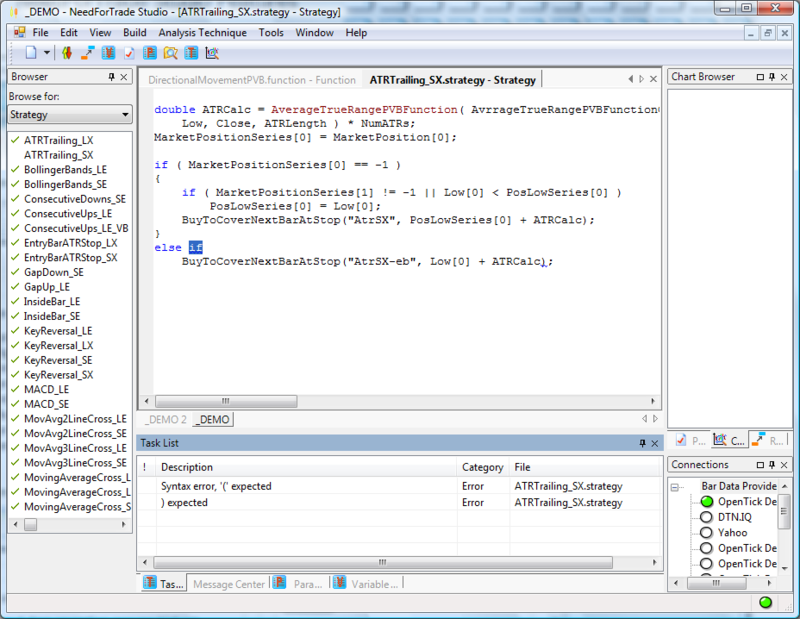 NeedForTrade Studio is supplied with brute-force optimization included. 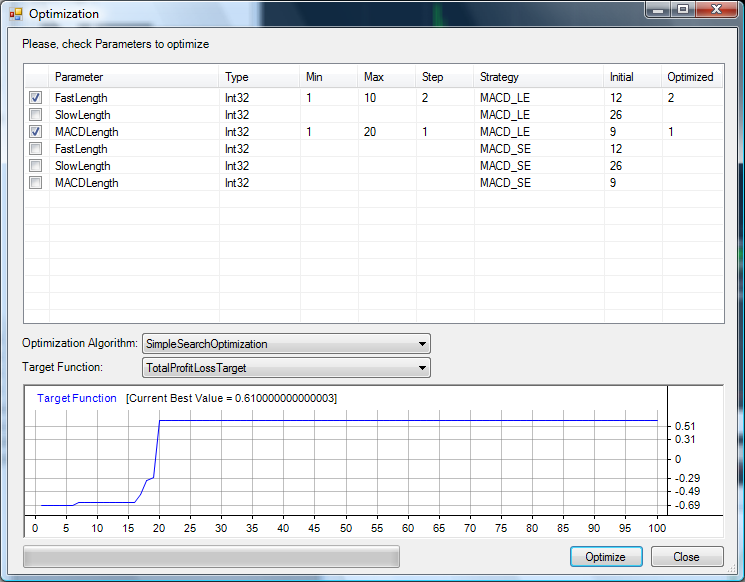 Optimization target function can be specified so you can optimize strategy against any criterion (e.g. maximize). 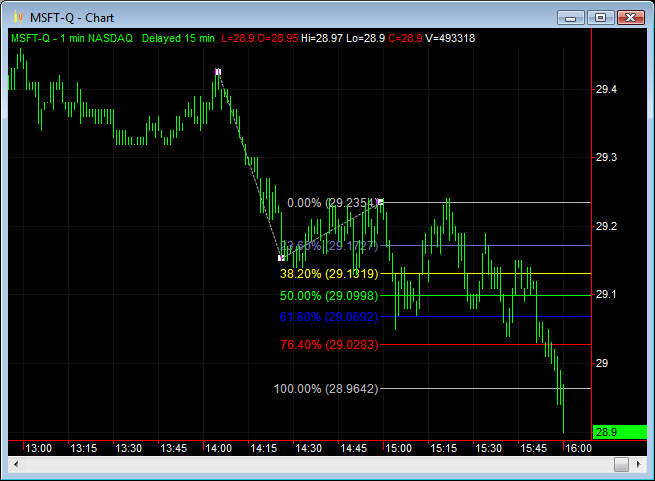 Creating target function is as easy as creating a simple indicator. Also you can create your own optimization algorithm. In each case you will not need to learn difficult programming aspects due to our automatic service code generation. 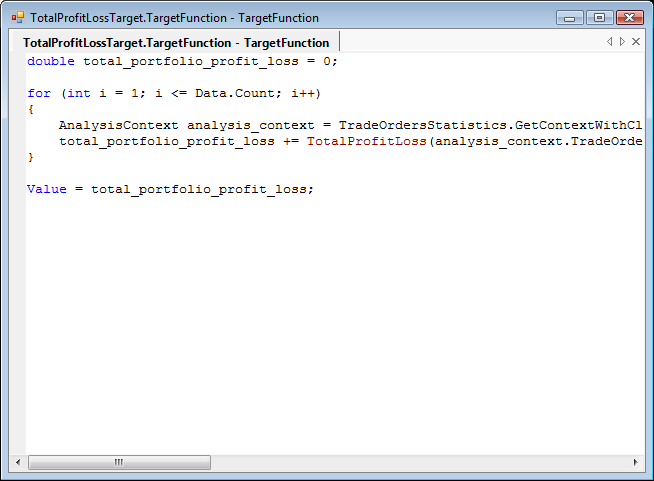 NeedForTrade Studio is capable to optimize parameters of strategies applied to a portfolio with any number of symbols. *Microsoft .NET Framework, TradeStation, EasyLanguage and other are registered trademarks of their respective owners. 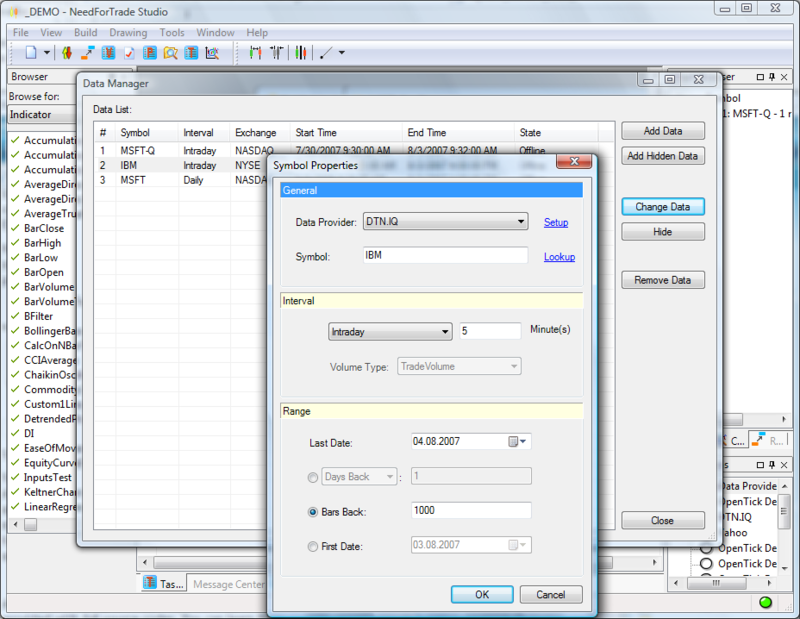 NeedForTrade Studio provides convenient access to data from supported data providers as well as to data stored in text files. All data downloaded from data providers is stored locally and will be quickly loaded upon next request of the same data range. 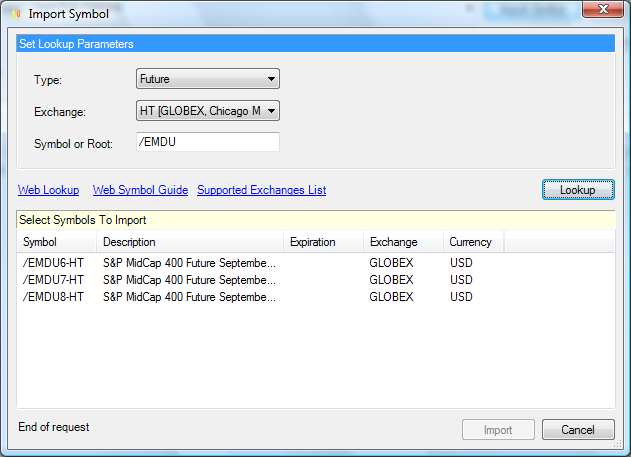 NeedForTrade stores symbols in local data base and provides intuitive interface to request required symbol. 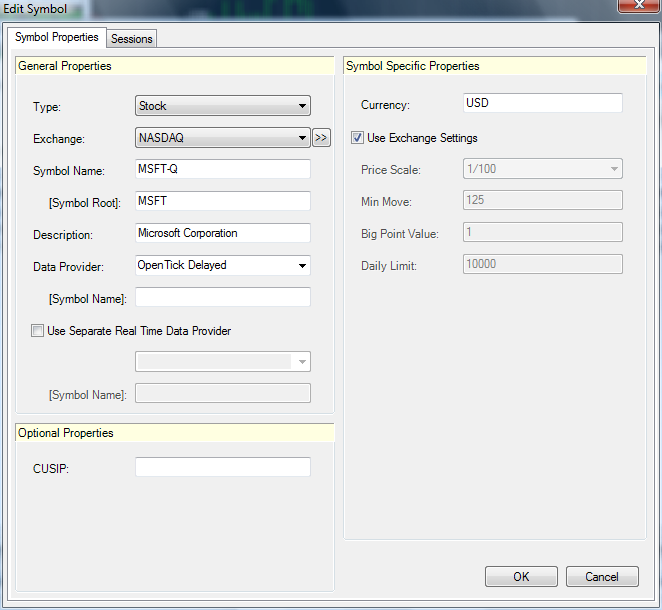 User is able to edit symbol parameters to adjust required symbol properties or to create symbol manually. 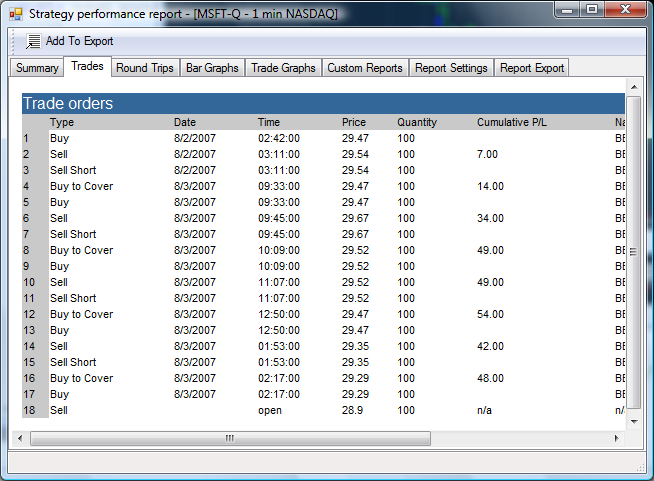 NeedForTrade Studio works with many FREE and commercial real-time and historical data providers, such as: Interactive Brokers, DTN.IQ (IQFeed), BarChart, Yahoo!. Also data can be imported from text (ASCII) files of arbitrary format. For the full list of supported data providers please, visit this link. All historical data downloaded for any symbol is stored locally. On next request of the same data range data will be loaded from local storage. Missing data will be requested from data provider automatically. This greatly improves performance and helps to minimize network traffic. Symbols can be added to the system by importing them automatically from data providers. Symbol can be found by its name, type and exchange. This just couldn't be easier. 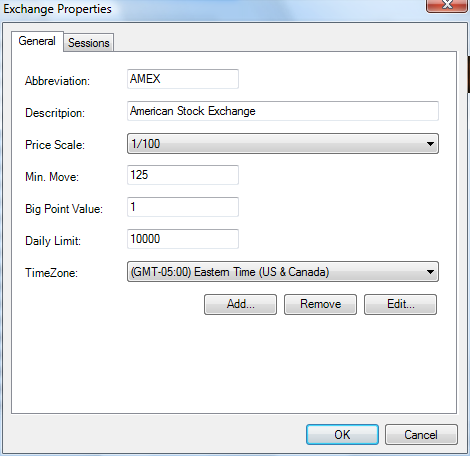 Platform allows user to set custom trading sessions and specify additional exchanges. 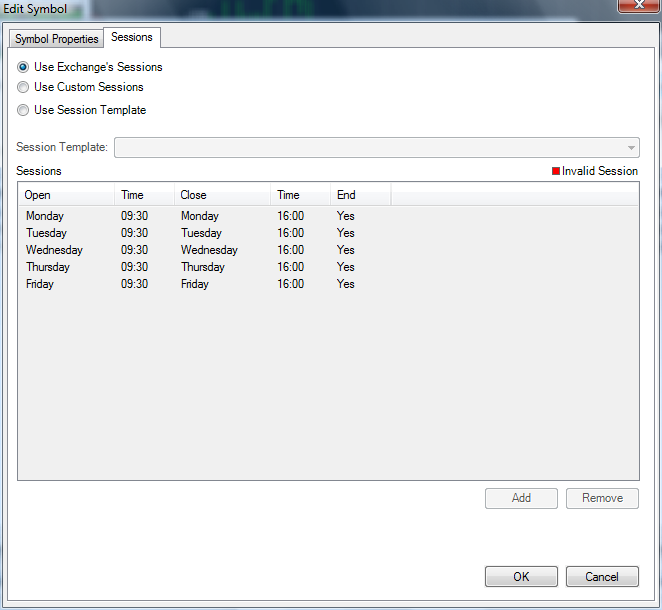 Session templates can be used to simplify setting of trading sessions. 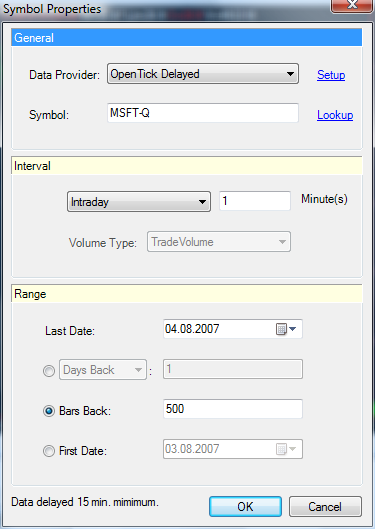 Trading session settings can be bound to concrete symbol or to whole exchange. Historical data can be imported from text (ASCII) files. 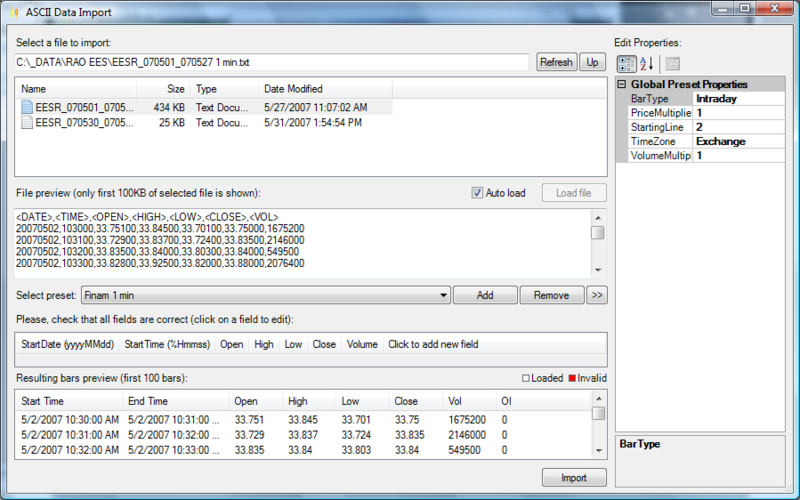 User is able to specify data fields, presented in text file using simple interface and save this settings as a preset for later use. 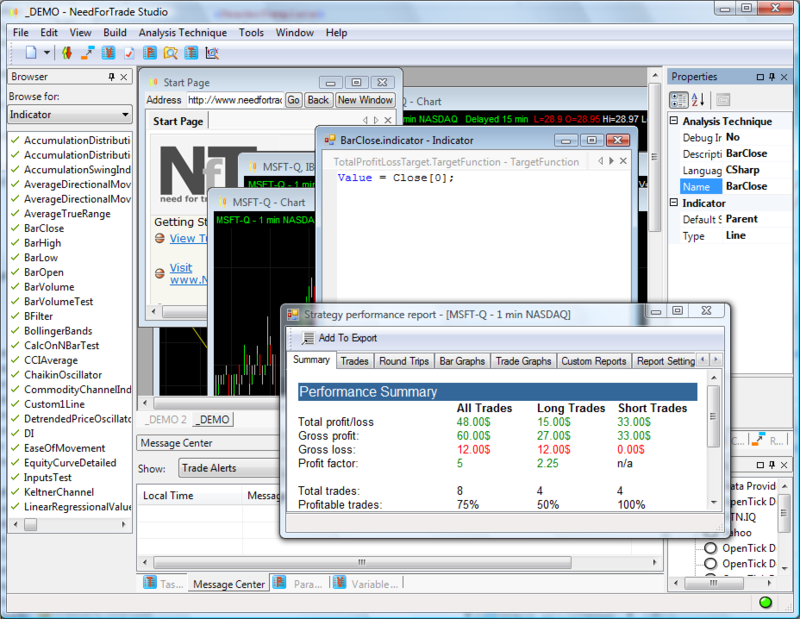 NeedForTrade Studio is shipped with more than two hundred built-in analysis techniques: indicators, strategies, functions, drawing tools and so on. All of them come with complete source code so you can analyze them, use as examples. 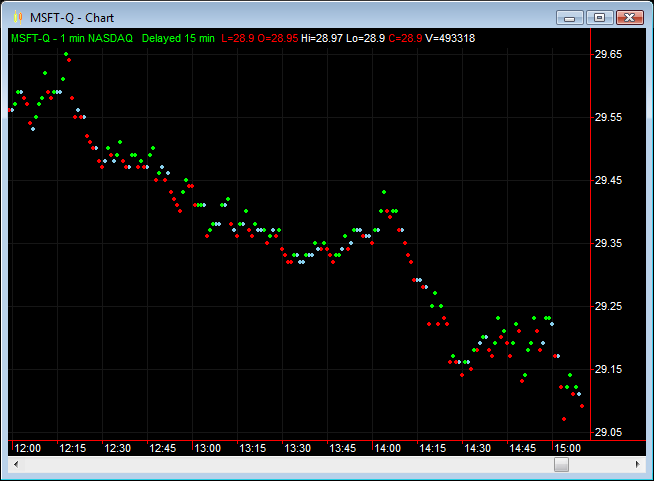 Indicator style on the chart can be finely tuned. On chart strategy style can be adjusted according to your needs. 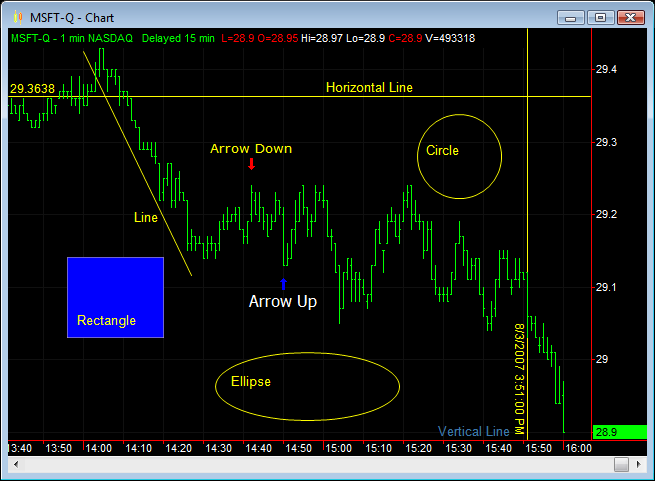 Wide range of on-chart drawing tools is shipped with the NeedForTrade Studio: Andrew's pitchfork, arrow up, arrow down, line, rectangle, circle, ellipse, text, vertical line, horizontal line, Fibonacci cycles, Fibonacci speed/resistance arcs, Fibonacci speed/resistance fan, Fibonacci trend-based price extension lines, Fibonacci trend-based time lines, Gann square, percent retracement. Style of every drawing tool can be finely tuned (colors, line sizes, text fonts, etc.). 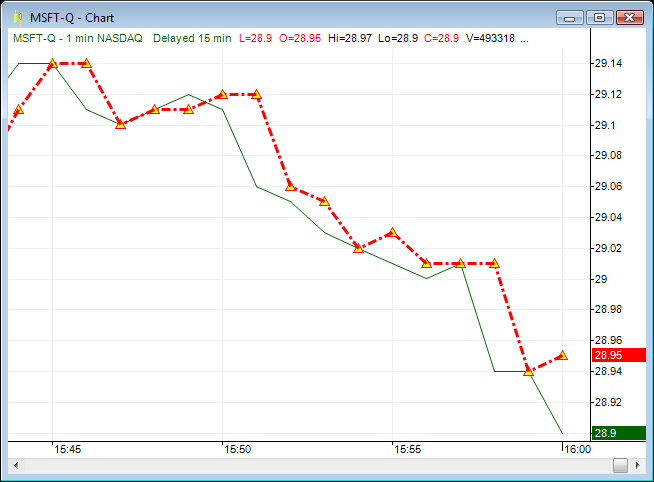 You can create your own on-chart drawing tools. 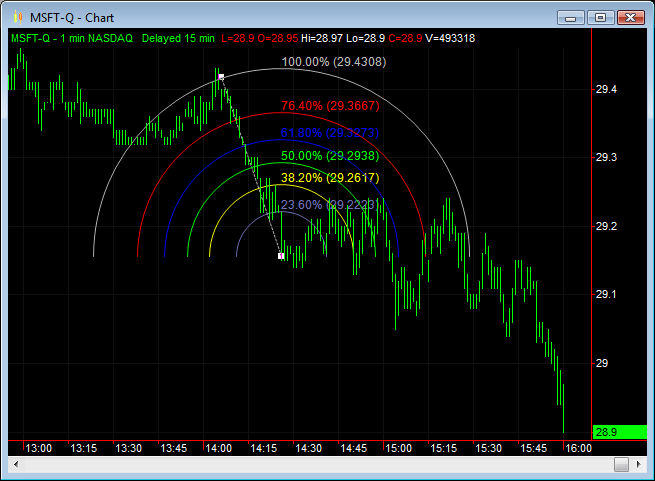 It's as simple as to create an indicator. NeedForTrade Studio user interface provides easy-to-use, intuitive user interface that allows user to focus on the primary work, not on the unnecessary details. It's very easy to learn, thanks to the very well-thought-out Integrated Development Environment (IDE) that uses the best approaches from the best industry-standard IDEs. For relatively easy analysis techniques no special (programming) skills are required. Code only parts significant to your analysis technique, everything else will be generated automatically. Use Parameter, References and Variable Store panels instead of coding corresponding code manually. 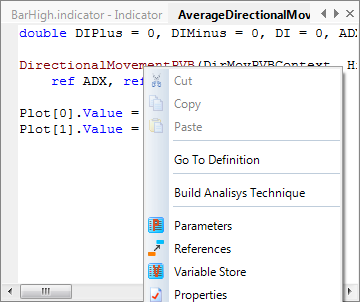 Analysis technique editor supports code highlighting and completion. 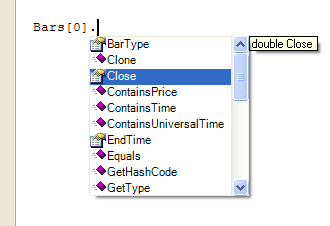 All syntax errors in analysis techniques are shown in the Tasks panel and are underlined in the code. 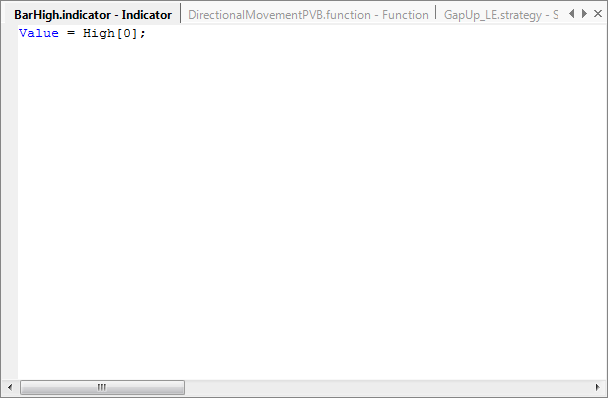 If analysis technique is calling some function you can find out function parameters by pointing mouse cursor on it. Referenced functions are marked with different color. Application interface is intuitive and extremely easy to use. It combines almost all up-to-date interface features of existing applications, such as drag-and-drop, docking panels, multi-document interface with tabbed windows and so on. 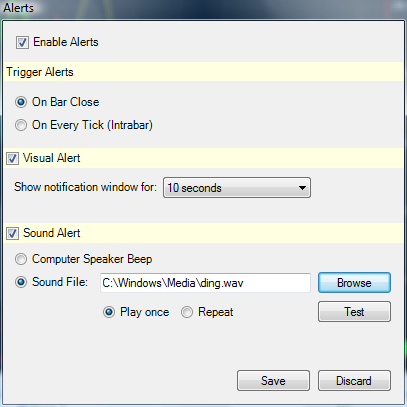 Workspaces let you to have as many opened windows as you want but still keep them in perfect order. Help system contains topics covering different aspects of using application. Each user step is described with text and images. NeedForTrade Studio introduces unique automatic service code generation technology. 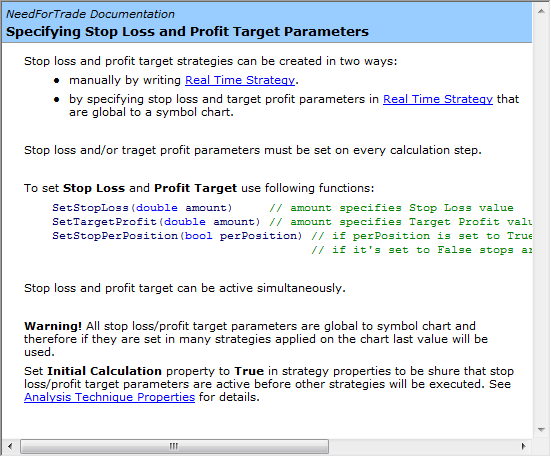 It allows user to create analysis techniques (strategies, indicators and so on) without programming skills. See Servo:: Technology for details. 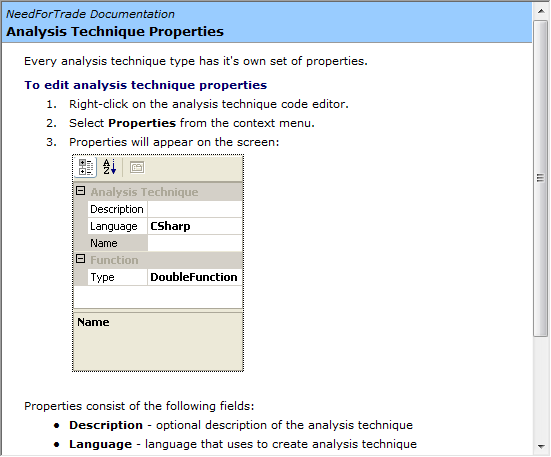 Analysis techniques are created on NLanguage (TradeStation EasyLanguage* compatible language), C# or Visual Basic languages. This ensures that all power and ease of use of Microsoft .NET Framework is available in your indicators and strategies. Thanks to our unique automatic service code generator you don't have to know how to program on these languages. Only very easy language syntax constructions are required. 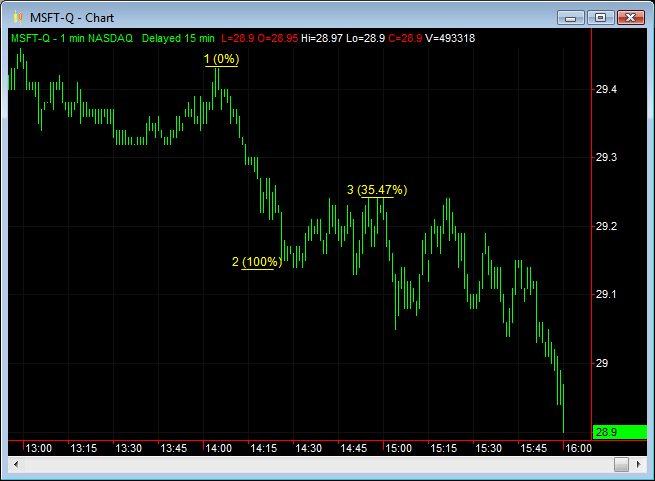 Strategies and Indicators creation just can't be easier. 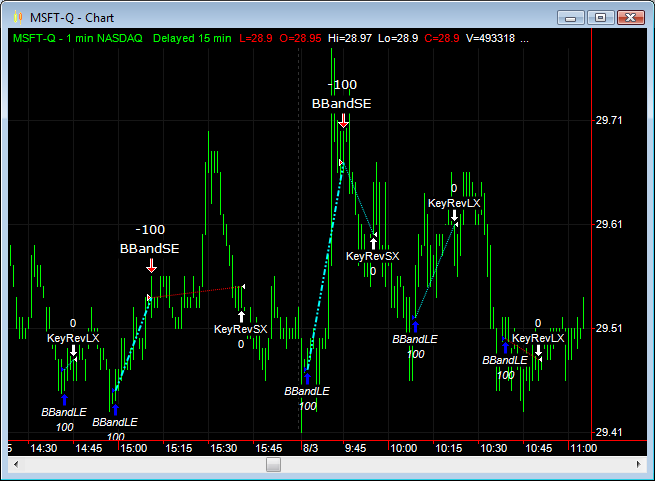 It's just as easy as in TradeStation EasyLanguage*. 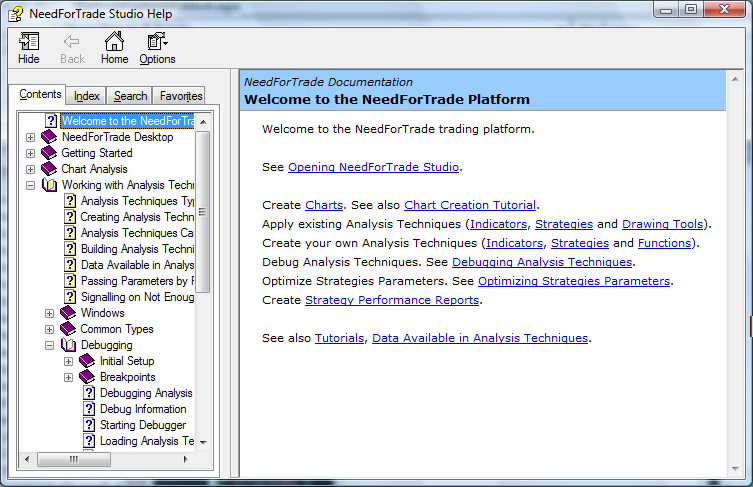 NeedForTrade Studio combines ease of use of simplest and most convenient systems with the power of .NET-based systems. You never need to learn any special language. Application uses modern languages - Visual Basic and C# - to create analysis techniques. If you have experience in one of these languages you do not need to learn anything else - just start creating advanced analysis techniques. 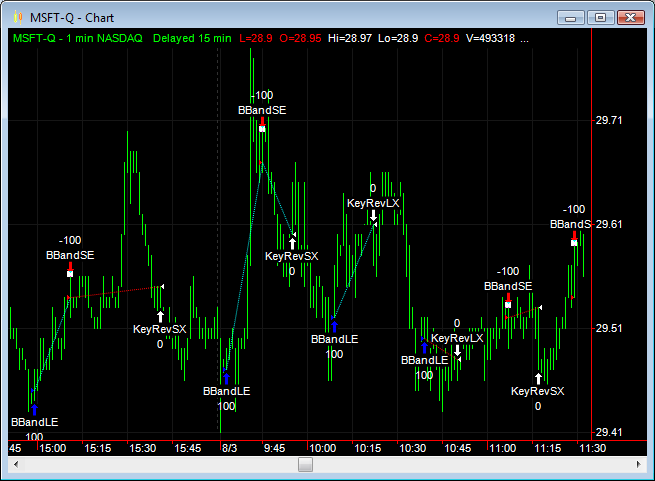 Or you can use NLanguage if you have experience in TradeStation EasyLanguage*. 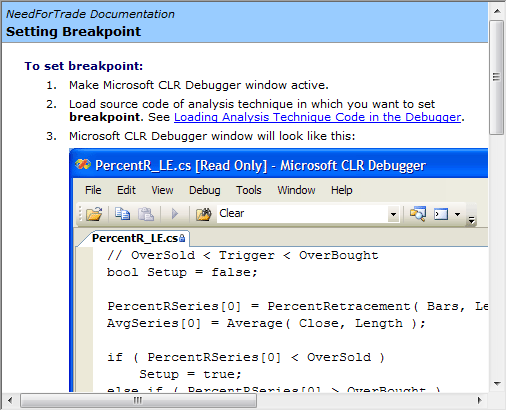 Analysis techniques can be debugged with full-featured FREE .NET debugger (it's shipped with the Microsoft .NET Framework SDK). While debugging only user-created code is shown. Automatically-generated service code is hidden. You can step through the code, watch variable values, set breakpoints and so on. 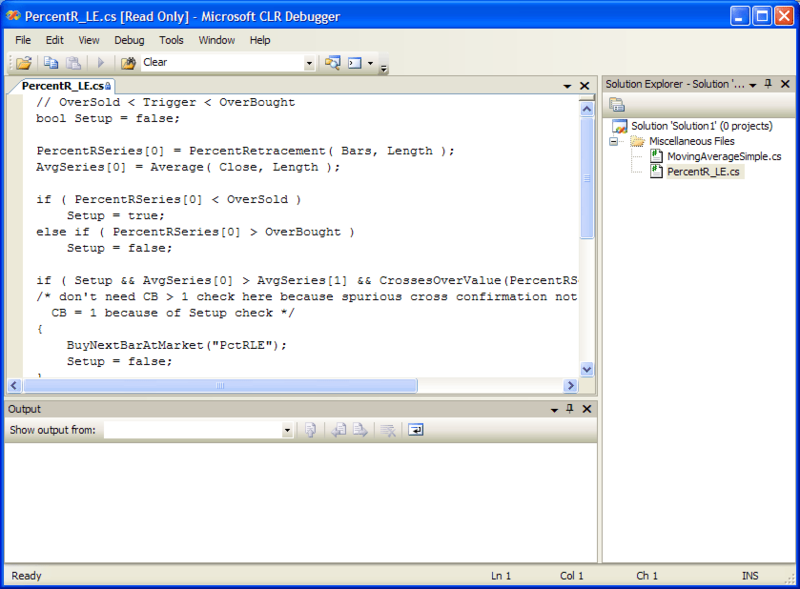 Debugger is very powerful an extremely easy to use. Mix any symbols and/or time intervals. 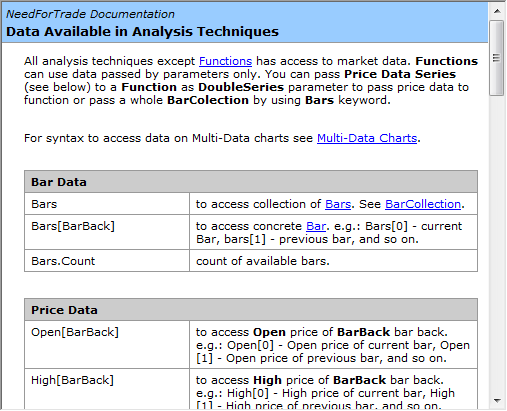 Access data applied to any sub-chart within the chart window with very simple syntax. 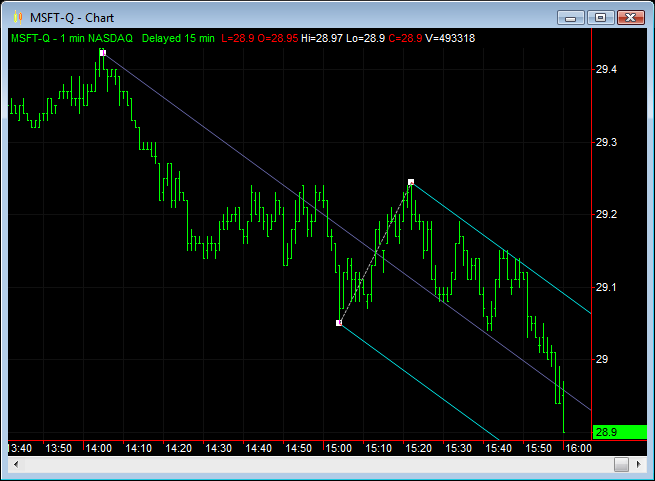 To create large portfolios use hidden sub-charts and Data Manager. Help system contains topics covering different aspects of creating analysis techniques. Each user step is described with text and images. 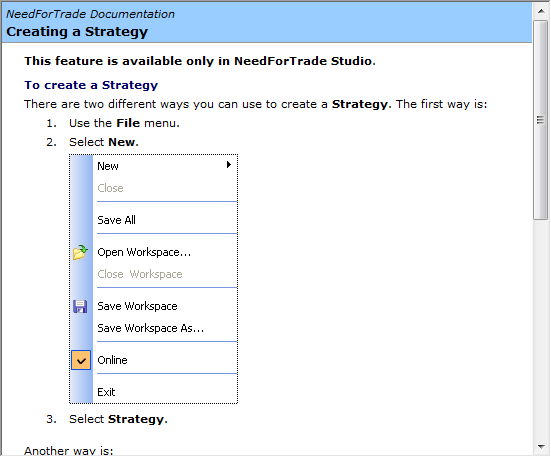 NeedForTrade Studio contains powerful yet very easy-to-use Trade Grid. 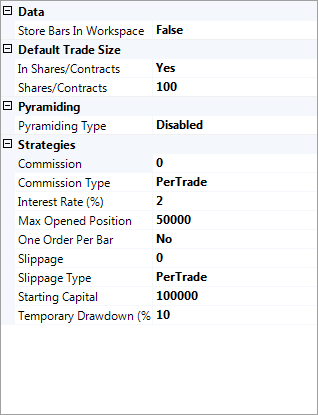 Multiple trading pages can be created to separate different portfolios, instrument types, exchanges and so on. 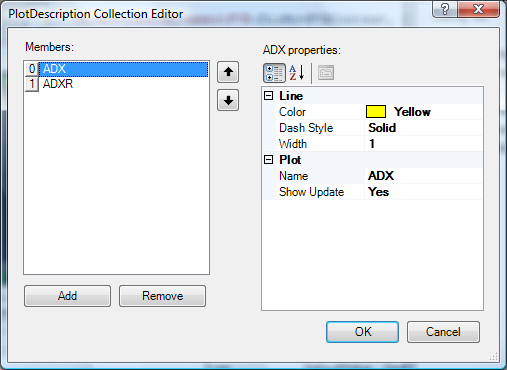 Order can be created by simply clicking on Bid or Ask field or using context menu. 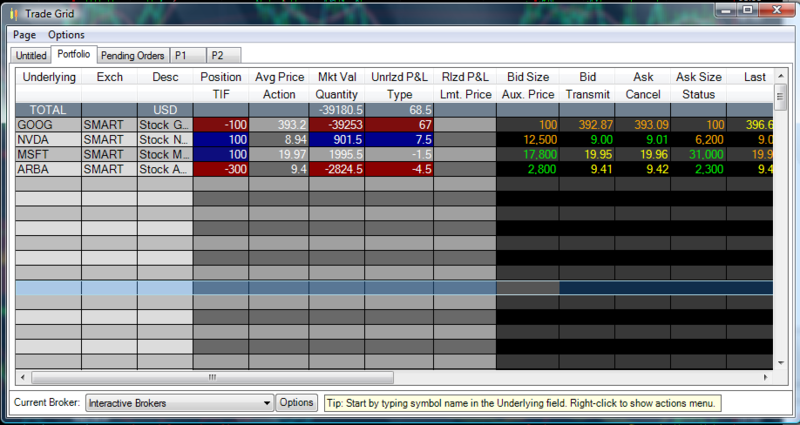 Multiple simultaneous trading orders can be tracked at the same time on each trading page. You can cancel any order when you want by simply clicking on C button. Pending orders are displayed and can be cancelled on pending orders page. Confirm order dialog lets you send order at the right time. 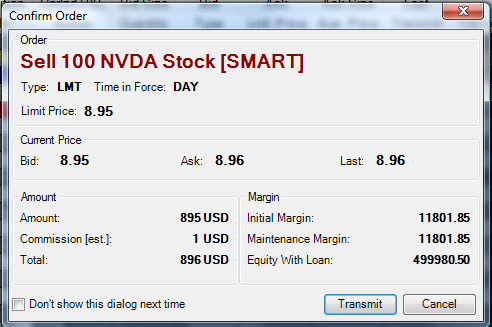 You can track current prices, order amount, margin and other valuable parameters. Send order using Transmit button or cancel it. 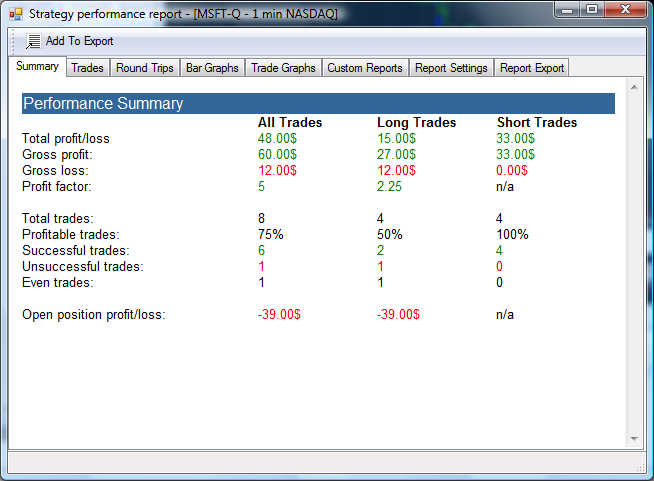 Common portfolio page shows all opened positions in one place. 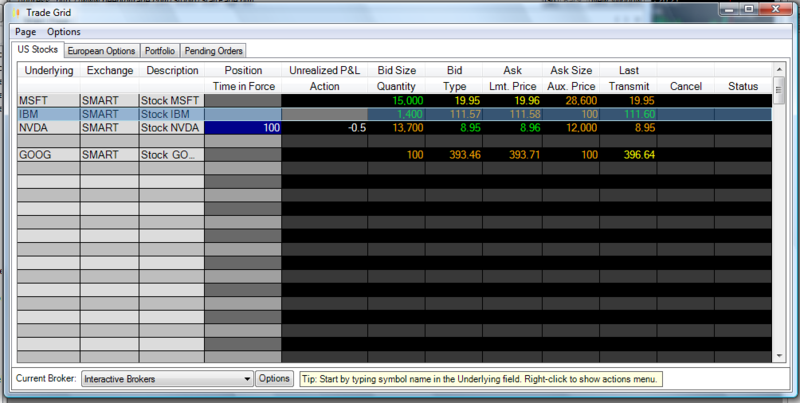 You can trade and cancel orders right from portfolio page. 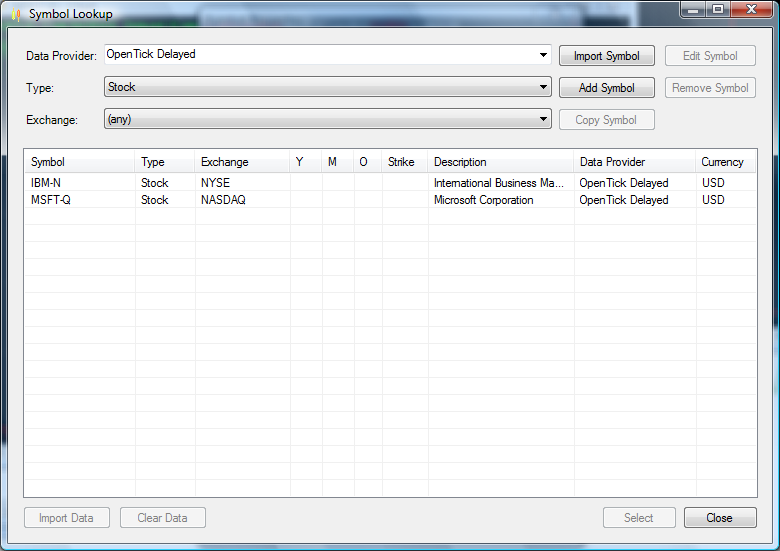 Interactive Brokers brokerage is supported. 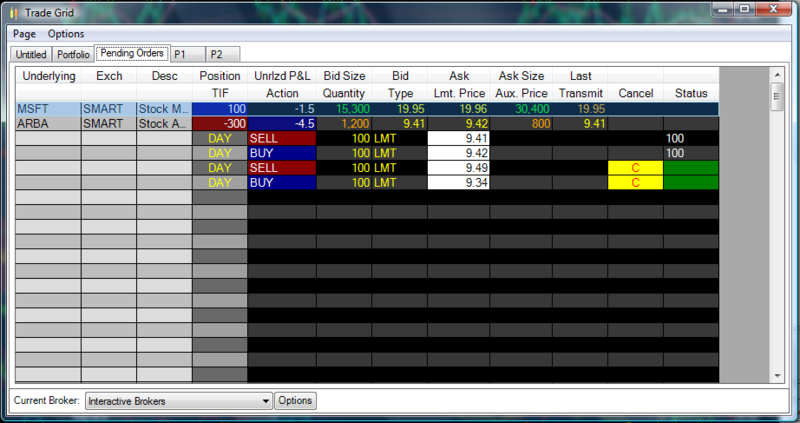 See www.interactivebrokers.com for commissions and details.